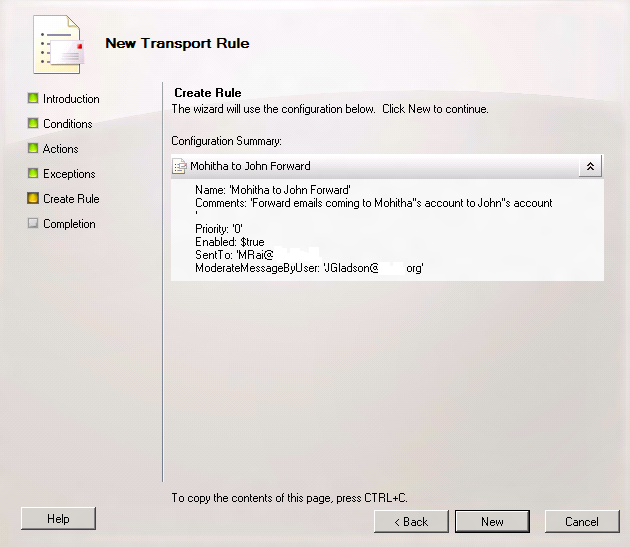 in This Topic I will write a simple Step by Step Guide about how to create a Forward Condition on the Hub Transport Server. 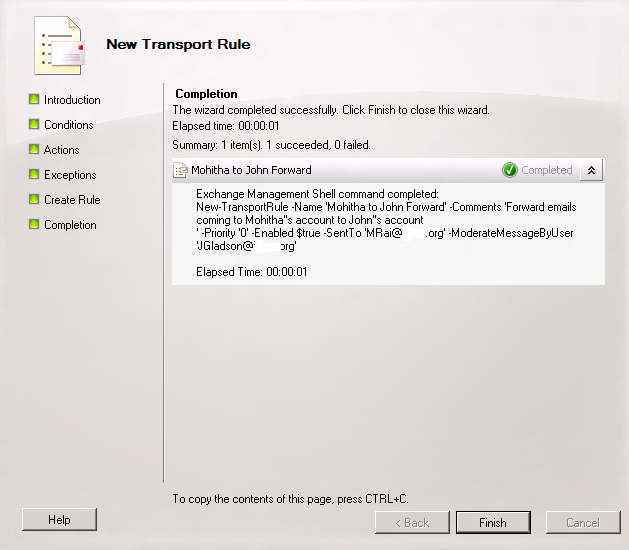 1- Log into your Exchange HT Server using Account with Administrative Privileges. 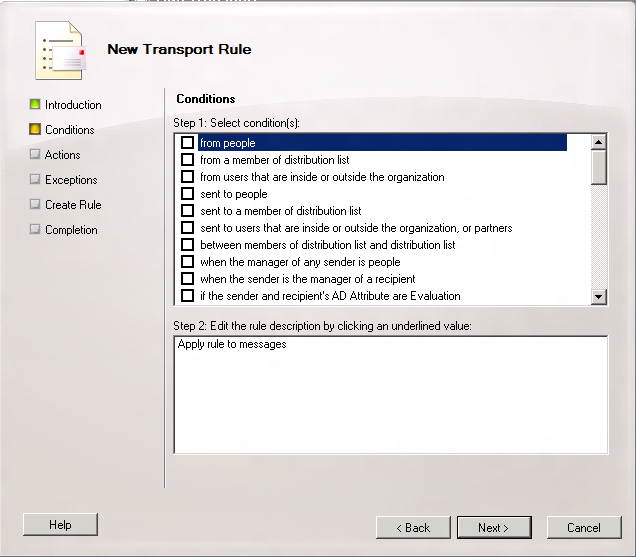 2- Open the Exchange Management Console and under Server Organization Configurations >> Go to Hub Transport >> in the Middle pane Go to Transport Rules Tab. 6- in the Condition Page, In Step 1 section select the condition you want to configure the Rule For, in Our Case it will be “when an email is sent to a certain User”, so Select “Sent To People”. 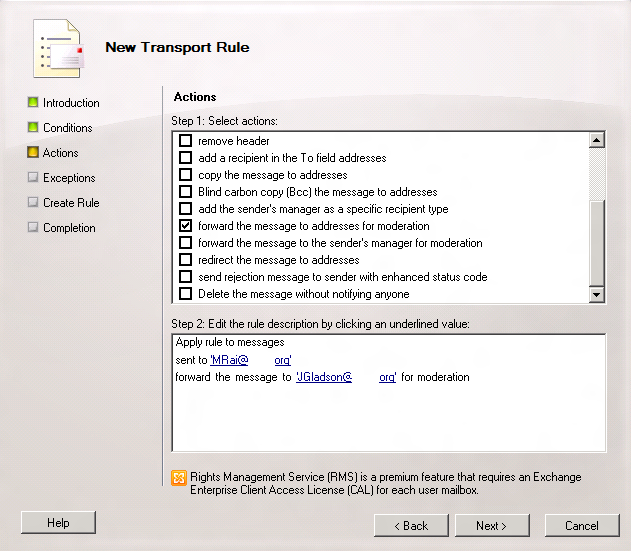 9-In the “Action Page” of the Wizard, in Step 1 section , Select the Action you want to apply when email is sent to User1, In Our Case it’s “Redirect the Message to address”, in case you need a rule to forward the email to moderator for approval then you should select “Forward the message to addresses for moderation”. 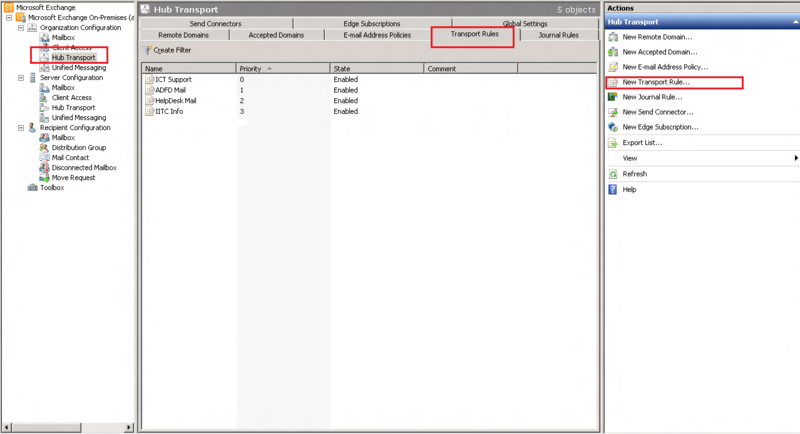 10- In Step 2 section, click on the underlined value “Addresses” and select the user you want to forward the emails to “User 2”. 12- in Exceptions Page of the Wizard, if you need to add exceptions to the Rule , add what suit you , otherwise leave it blank and click next. 14- in the Completion Page , Click Finish. 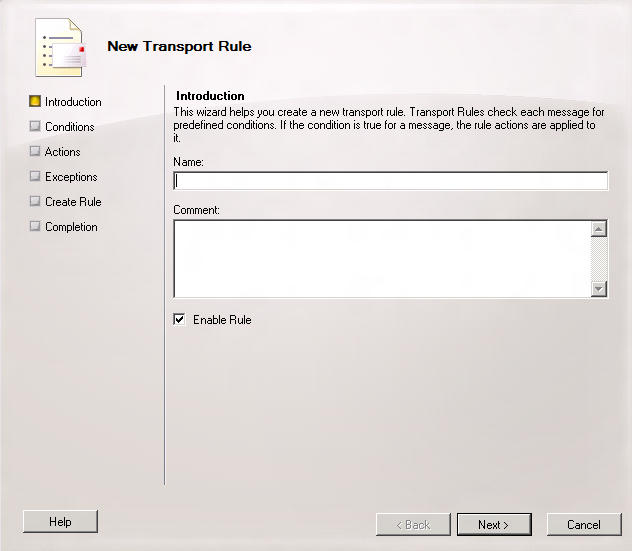 and That’s it, as you can see it’s pretty much like creating a rule on Outlook. I beleive something miss in the check list since forward for moderation requires un acceptance that is different form a simple forward. Any help to clarify? You are right, the example I wrote about is when email sent to a user require approval of the moderator. 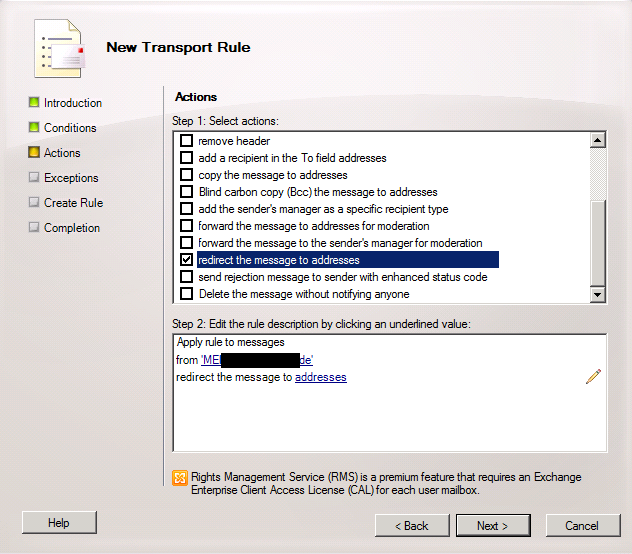 in case of simple forward, you should just use “redirect the message to address”, this will act as a simple forward rule.